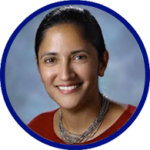 Kavita Patel is the Associate Chief Medical Officer and Medicare Director at Johns Hopkins Medicine, Sibley Hospital, responsible for the oversight of primary care transformation and population health in the outpatient setting. She is also a nonresident Senior Fellow at the Brookings Institution. Previously, she was a Fellow and Managing Director of Delivery System Reform and Clinical Transformation at the Engelberg Center for Health Care Reform in the Department of Economic Studies at the Brookings Institution. At the Institution, Dr. Patel is specifically working on helping health care systems understand how to transform their clinical environments to become more accountable for the care they provide as well as other aspects of health reform implementation. Dr. Patel also serves on the GAO Appointed Physician-Focused Payment Model Technical Advisory Committee (PTAC) which is charged with developing alternative payment models for Medicare as a result of the bipartisan, bicameral Medicare and CHIP Reauthorization Act (MACRA) which aims to accelerate the movement to value-based care. Previously, Dr. Patel served as Director of the health policy program at the New America Foundation, a nonpartisan public policy institute in Washington, D.C. Dr. Patel provided strategic vision for all health-related policy research and analysis, educational outreach, and communication activities. Her research and reports focused on patient-centered care, payment and delivery system reform, workforce issues, and health reform implementation. Her expertise earned her a regular expert commentary spot on radio and in print media, including National Public Radio, CBS, Newsweek, and Marketwatch. Prior to her work at the New America Foundation, Dr. Patel served in the Obama Administration as director of policy for the Office of Intergovernmental Affairs and Public Engagement in the White House, where she played a key role in the design of health care reform legislation. As a Senior Aide to Valerie Jarrett, President Obama’s Senior Advisor, Dr. Patel helped lead the mission in policy development and evaluation of policy initiatives and connected to health reform, financial regulatory reform, and economic recovery issues. Dr. Patel also has a deep understanding of Capitol Hill from her time spent on the late Senator Edward Kennedy’s staff. As deputy staff director on health, she served as a policy analyst and trusted aide to the Senator and was part of the senior staff of the Health, Education, Labor and Pensions (HELP) Committee under Senator Kennedy’s Leadership. Her legislative efforts also include drafting the 21st Century ALERT Act, which was a comprehensive cancer care reform bill, enacting a waiver for Massachusetts that allowed the state to pursue payment reform policy, and legislation related to agency reauthorization of the Food and Drug Administration. A graduate of the University of Texas at Austin, Dr. Patel earned her masters in public health from the University of California at Los Angeles (UCLA) and her medical degree from the University of Texas Health Science Center. Dr. Patel completed her training in internal medicine at Oregon Health and Sciences University where she also served as Chief Resident of Medicine. After that, she entered and completed the Robert Wood Johnson Clinical Scholars Program. A Clinical Scholar at UCLA, Dr. Patel focused her research on mental health care disparities in African American populations in Los Angeles. Following her experience as a Scholar, Dr. Patel served as a health services researcher at UCLA and then moved on to become an Associate Scientist Research at the RAND Corporation where she focused on a career of intense research and received the RAND President’s Award for her work with quantitative, policy related research. In addition to these accomplishments, Dr. Patel serves on the board of several organizations including Community Catalyst and the National Initiative for Children’s Healthcare Quality. She is also an advisor to HealthLoop, an emerging mobile technology company as well as founding advisor of AVIA, a venture accelerator based in Chicago.